Support in the implementation and execution of the marketing / market entry strategy. We can offer you these Business Consulting services in every phase of your business from start-up till maturity and from turn-around till consolidation. These services can be ordered separately or as a complete integrated service, always according to your needs. 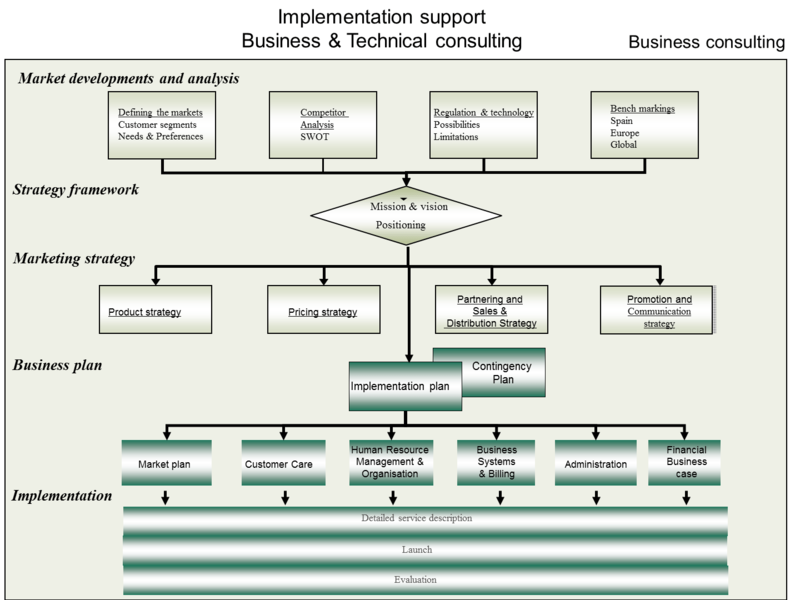 To support you in these demanding and crucial tasks LTT Business Consulting has developed a comprehensive and structured methodology to support you in all the steps of your business planning & execution process. 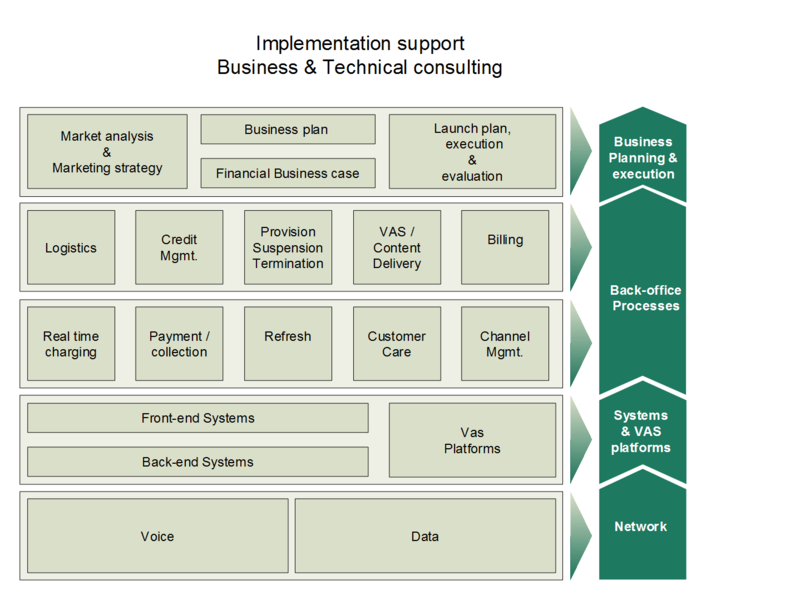 After a go-no-go decision based on the outcome of the Business plan we can also support you in managing the whole implementation process and in case you are a CSP, the selection of the most suitable technology solution providers to get your new business up and running. Because we at LTT Business Consulting come from the Telecom world where we have worked as well in highly developed telecommunications markets in Scandinavia as in markets with very basic needs in Africa, we can help you with the development of attractive packages for segments with needs ranging from very basic to very sophisticated.